A Florida appeals court stated on Friday that it is constitutional to restrict what a physician can tell its patients about gun ownership. The court said regulating professional conduct does not violate freedom of speech rights under the First Amendment. Physicians caught breaking this law could be fined and lose their medical licenses. The Florida appeals court upheld the law by a 2-1 decision as a protection of patient privacy rights. It said any limits imposed by it were incidental. United States Circuit Judge Gerald Tjoflat said the act simply codifies that good medical care does not require inquiry or record-keeping regarding firearms when unnecessary to a patient’s care. Another Circuit Court Judge, Charles Wilson, called the law a clear infringement of First Amendment rights in his dissent. He stated that the act prohibits or significantly chills doctors from expressing their views and providing information to patients about one topic, and one topic only, in this case firearms. He continued that regardless of whether one agreed with the message conveyed by doctors to patients about firearms, he thinks it is perfectly clear that doctors have a First Amendment right to convey that message. The Firearm Owners’ Privacy Act was put into effect in Florida by a Republican led house. It was first placed on the docket after an Ocala, Florida couple expressed their grievance with a primary care doctor that had asked them about guns. After the couple declined to answer his inquiry, the doctor refused to provide medical care. The bill signed into law by Governor Rick Scott restricted physicians from asking their patients about gun ownership or recording the information in medical records unless medically necessary. National Rifle Association lobbyist in Florida and former president of the national organization Marion Hammer said that the judges got the decision right, fully understanding the intent of the bill pushed by the organization. She stated its intent is to protect the privacy of firearm owners and to finally stop the political interrogation of gun owners and the children of gun owners seeking medical care. Attorney Douglas H. Hallward-Driemeier who filed an appeal said the decision limits the right of physicians to seek out potential dangers in the household. 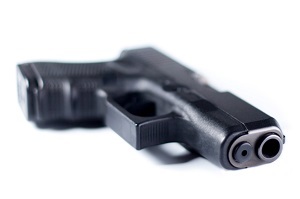 If a physician can’t ask about gun ownership, he cannot explain proper safety measures. Hallward-Driemeier went on to say it prevents patients from receiving truthful and critical information that can protect families and others in their presence. United States District Judge, Marcia Cooke in 2012 declared the bill unconstitutional as an impermissible restriction on free speech. She then blocked the state from enforcing the law. Howard Simon, executive director of the ACLU of Florida, was shocked by the court’s final ruling. The ACLU has filed legal briefs in support of a legal challenge to the ruling. He and the ACLU said they were astounded that a court would allow the legislature to override free speech rights of doctors and medical personnel. Simon said he considered it a sad day when judges tell doctors what is in the best interest of their patients.